Toro Rosso has officially unveiled the livery which will adorn its 2016 challenger, the STR11, after running with an interim scheme last week. The STR11 made its track debut during the first test at the Circuit de Barcelona-Catalunya but Max Verstappen and Carlos Sainz Jr. ran with an all-blue scheme. Ahead of the second test in Spain, the traditional Toro Rosso colours of blue and purple were unveiled on the STR11, which will be raced by the young drivers this year. "We are proud of this car and what it represents in terms of the work that went into designing and building it in record time in our new facility in Faenza," said team boss Franz Tost. "And I am particularly pleased that 2016 sees a return to Ferrari power, with everyone looking forward to working once again with our friends from Maranello." 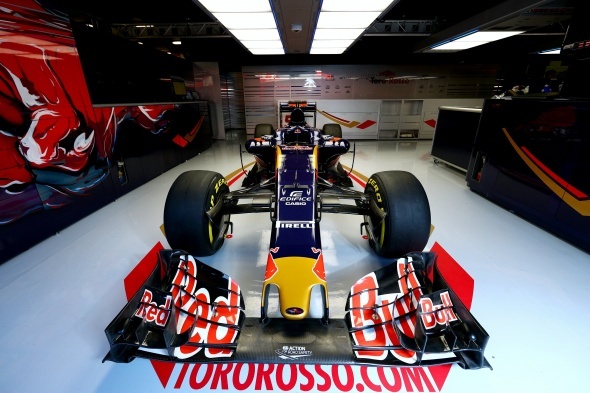 Toro Rosso finished seventh in last year's Constructors' Championship.